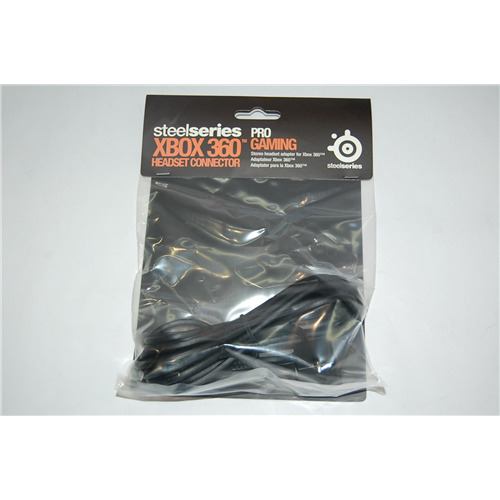 The SteelSeries Xbox 360 Headset Connector makes it possible to use standard stereo PC headsets on your Xbox 360. You are able to enjoy your headsets full stereo sound, while using your headsetsâ€™ microphone to speak with your friends on Xbox Live. 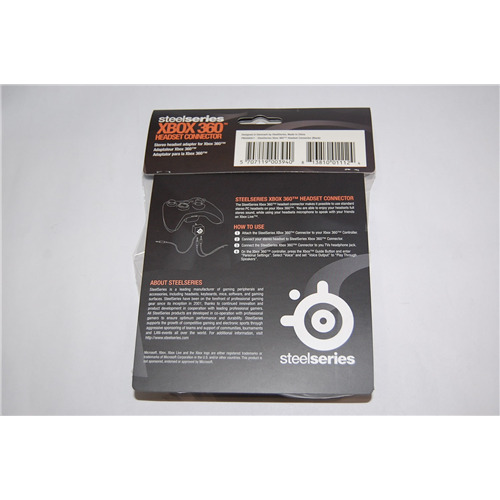 The SteelSeries Xbox 360 Headset Connector makes it possible to use standard stereo PC headsets on your Xbox 360. Use this headsets' microphone to speak with your friends on Xbox Live.